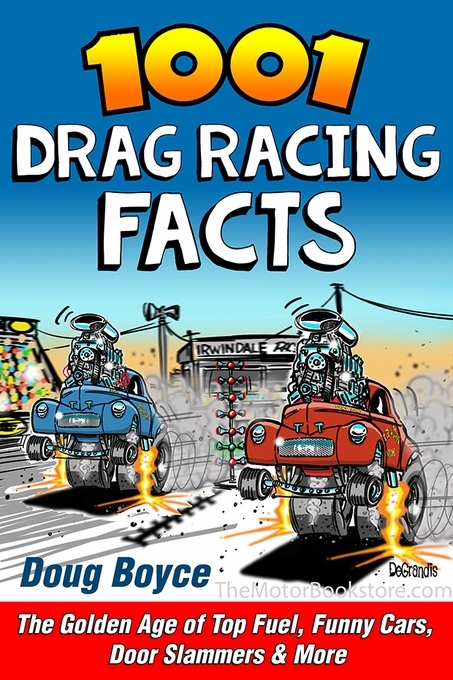 1001 Drag Racing Facts is going to provide hours of fun and research. It�s chock-full of details about the sport that even the hardened fan and lover of drag racing trivia will be surprised to discover. Every subject imaginable (and many that would never cross our minds) can be found in these 344 pages. Facts about Top Fuelers, Pro Stocks, Funny Cars, Gassers, Altereds, Super Stocks, and Eliminators will entertain, inform and give you an arsenal of data to share at the bar, shop or track. What Southern Californian came up with the idea of putting a Chevy OHV into a dragster? Which tennis champion decided to become a racer at the peak of their career? What happened to �the Snake� at the 1970 NHRA Nationals? Which vehicle was the forerunner of the classic 1964 Thunderbolt? What separates this drag racing trivia from comparable material is that you don�t just get a tidbit of information. You get a thorough story about a lawsuit that resulted from an accident at the Cajun Nationals or the reasons behind a group of Ford racers boycotting NHRA weight breaks and jumping ship to the Mopars. 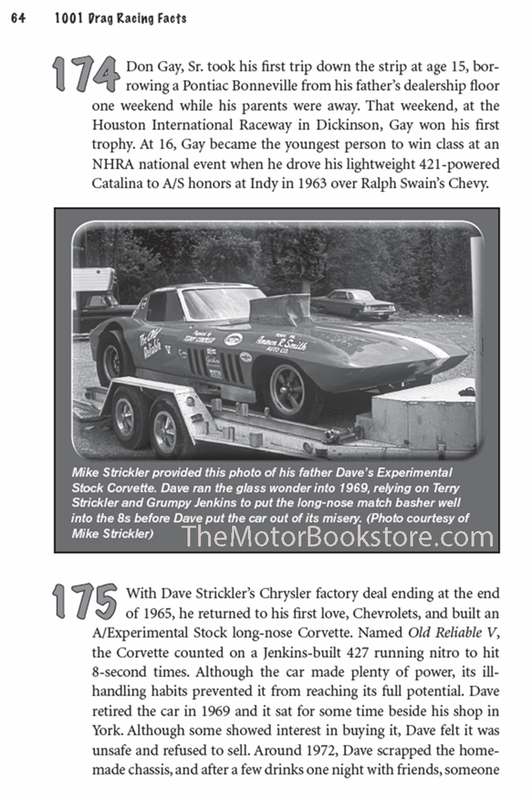 Working its way from the �50s through the �80s and beyond, 1001 Drag Racing Facts is far more than well-researched. It�s excruciatingly detailed. For easy scanning, all the drag racing trivia is broken into convenient sections. The chapter on Eliminators, for instance, has its trivia separated into subjects like Gassers, Modified Production, Altered and Econo Altered and even a More, More, More section. We believe that everyone � drag racing fan or not � will learn something interesting in 1001 Drag Racing Facts. 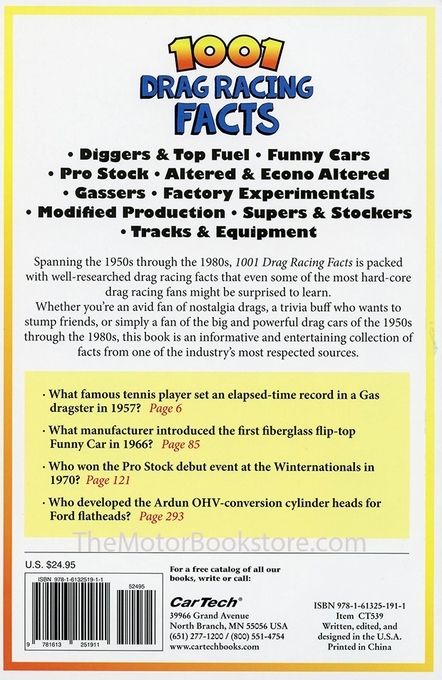 Below: 1001 Drag Racing Facts by Doug Boyce- Sample Page. Copyright CarTech Books Publishing. Ask a question about 1001 Drag Racing Facts.